I love a good metallic. In my dream world I’d be floating around dressed head-to-toe in metallic Burberry this Spring. Alas, this isn’t the case so I’ve done the next best thing and picked my four favourite metallic skirts on offer. The criteria was simple. 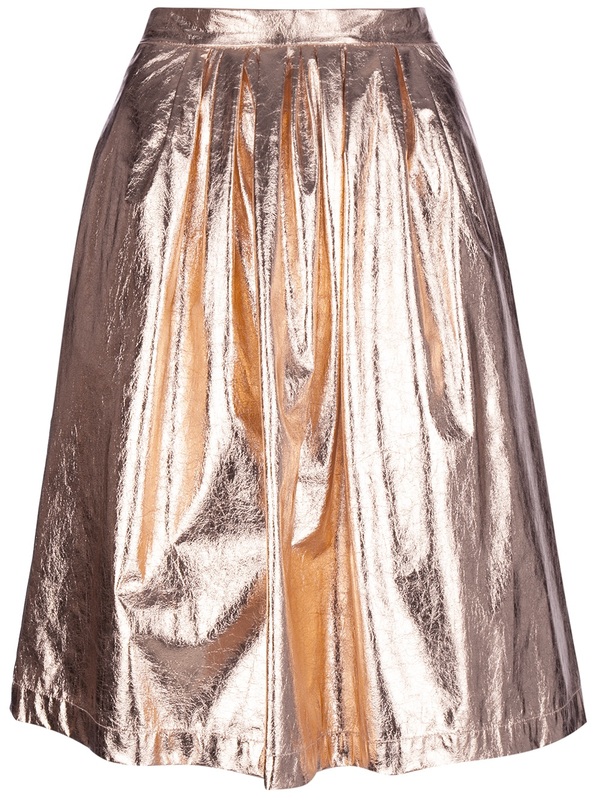 The skirt had to be metallic (duh) and easily paired with an over-sized jumper, simple shirt or baggy tee. That is the only way I will be wearing it. Got it, let’s go. This skirt is utter perfection. The leather sexes it up while the metallic silver makes it bang on trend for Spring. Keep it nice and over-sized on top and you’ll be laughing. Unfortunately that’ll stop when you see the price tag, £485. Ouch. Orange and pink are two of my favourite colours to wear together. You know it shouldn’t work, but it does and it rocks. This skirt is definitely one for the bold. Keep the top half simple with a classic white shirt or cami and let the skirt do all the talking. I love the high waist and the cute girly pleats. Not bad for £250. 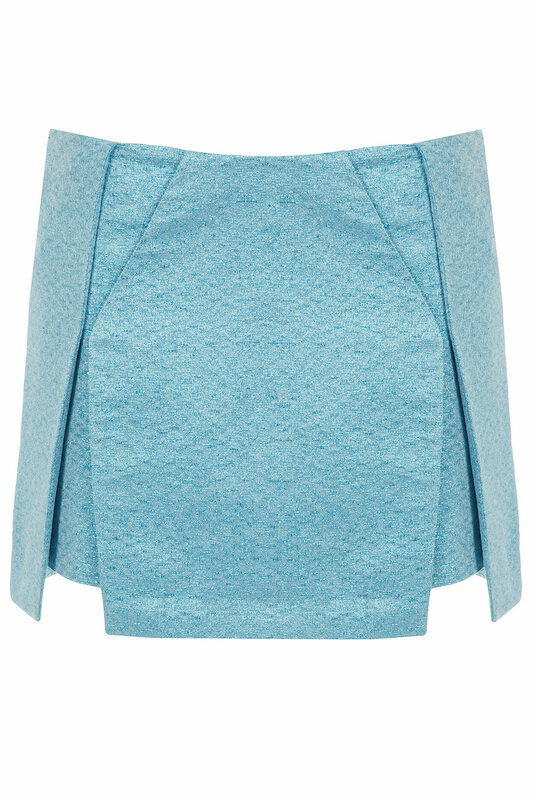 You can always rely on Topshop to create an affordable option. This baby blue mini is just that. Short and sweet. I love what they’re calling the origami detailing, giving the skirt what looks like two layers. I can imagine pairing this with anything, exactly what you want for £40. 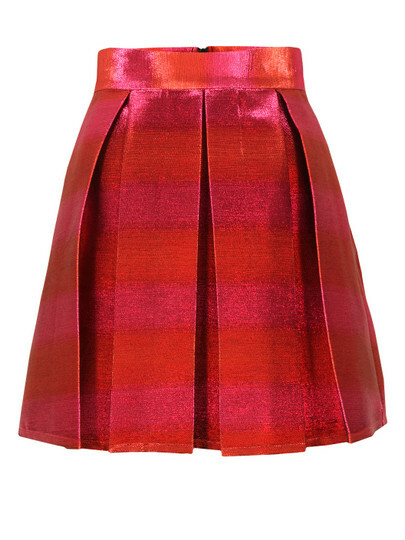 This Moschino number ticks ALL my boxes. It manages to look tacky but expensive at the same time. I love the length which hits just at the knees. I can imagine this with something sheer or even lace in black. It makes me want to experiment with textures. I won’t be spending £223.46 on it but I will be dreaming about it. Which of these four is your favourite? "Leather and Lace, Naughty and Nice"